Our Leicester Adobe InDesign Course is aimed at the beginner and specifically designed for the busy professional, we run short InDesign Courses that will get you up to speed in no time! Based in Derby we are only 40 minutes away from Leicester and we have many delegates who come to us from all over the country to attend our InDesign Courses. 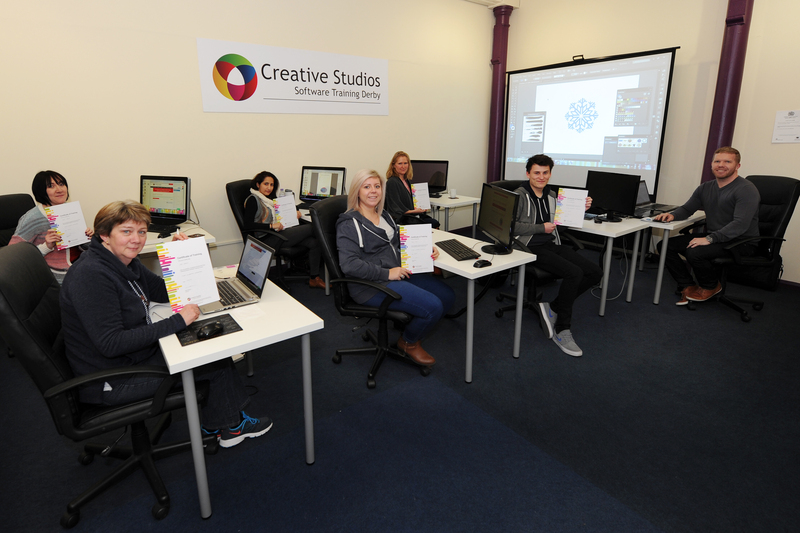 Centrally located we are only 10 minutes away from the Train Station and have FREE onsite parking for everyone who attends our Leicester Adobe InDesign Training Course. All of our Leicester Adobe InDesign Training Courses are short and intense full of practical demonstrations and with plenty of time for you to practice and fully understand everything that is being taught. We teach small groups with no more than 5 delegates to make sure everyone gets plenty of one to one time with the Adobe InDesign Trainer. Each delegate can also use their own current projects if required so the Adobe InDesign Training will be even more beneficial and tailored to your specific needs. If you live or work in Leicester and would like to come to us to attend one of our classroom based Adobe InDesign courses we have a few options, there is a one day Adobe InDesign Bootcamp Course which will cover all of the layout options used in Adobe InDesign, including creating Posters, Leaflets and Brochures. We also cover creating PDFs for both print and online use. 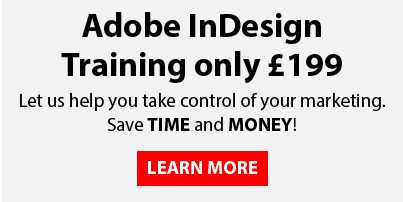 We also do a longer two day Adobe InDesign Training Course which covers everything that the one day course does and also we will show you how to add interactive elements to your PDF files like Hyperlinks, image galleries and forms. If you would like us to visit you and provide onsite training at your offices in Leicester (or anywhere in the UK) please fill out the form below and we will send you more information and a quotation We can tailor the Leicester Adobe InDesign Training Course to suit your exact needs. If you are traveling from Leicester to Derby to attend one of our Adobe InDesign Courses you can visit Leicester City Councils website for public transport information. If you are driving we are just up the M1 around 10 minutes from Junction 25 with FREE parking onsite for everyone that attends one of our courses. So whether you would like your Leicester InDesign Training Course delivered at your premises or if you would like to visit us for one of our fantastic 5 star rated classroom based courses we have the solution. Feel free to contact us if you have any questions or queries at all.